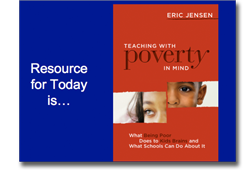 In this galvanizing follow-up to the best-selling Teaching with Poverty in Mind, renowned educator and learning expert Eric Jensen digs deeper into engagement as the key factor in the academic success of economically disadvantaged students. Smart, purposeful engagement strategies that all teachers can use to expand students' cognitive capacity, increase motivation and effort, and build deep, enduring understanding of content. The (until-now) unwritten rules for engagement that are essential for increasing student achievement. How automating engagement in the classroom can help teachers use instructional time more effectively and empower students to take ownership of their learning. Steps you can take to create an exciting yet realistic implementation plan. Too many of our most vulnerable students are tuning out and dropping out because of our failure to engage them. It's time to set the bar higher. Until we make school the best part of every student's day, we will struggle with attendance, achievement, and graduation rates. This timely resource will help you take immediate action to revitalize and enrich your practice so that all your students may thrive in school and beyond. research-based ways that can skyrocket achievement scores. It’s easy to look at the statistics and just give up. There's good news. The brain can also change for the good. I have done my homework. Many schools are succeeding. I have worked at several of them to discover what they are doing differently that is working. I have done my homework and I have isolated the factors that matter most. What was most exciting was to visit the schools that were succeeding with kids from poverty. I worked with one school that has 760 kids, with 100% free and reduced lunch. None of the kids had parents with ANY college education. All the kids were poor, nearly ALL were minorities. The school’s listed as one of the Top 100 schools in the U.S. News and World Report Annual “Best Schools in America”. 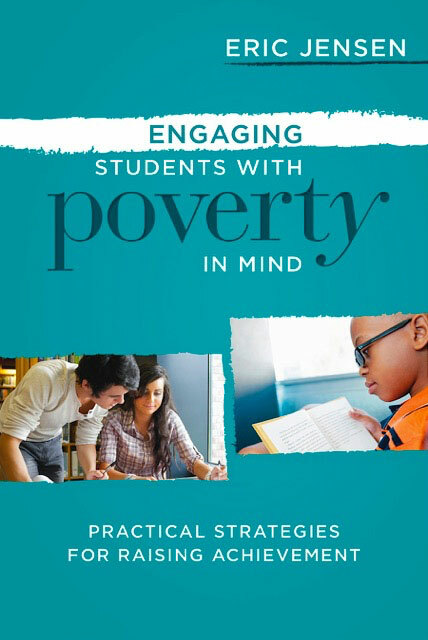 I put the research and powerful strategies together into an amazing, highly engaging, classroom-practical, research-based, 3-day “Teaching with Poverty in Mind” event. I’ll share what the best schools do and what the new breakthrough research tells us to do. These successful schools do things differently. This Amazing Success-Builder Workshop is a One-of-a-Kind Opportunity, but You Need to See it, Hear it and Seize it Now! High-Performance, Blue Ribbon Success Story! Almost 20% of America’s students live in poverty. Do you have specific strategies and a clear plan to help them succeed? If so, great. That’s the first step. But wait... is it (your plan) truly working? If you are not proud of how your school is doing, it’s time for a change... You may want to know about the upcoming highly engaging, classroom-practical, research-based, 3-day “Teaching with Poverty in Mind” event. Join us for an engaging, fast-moving, results-oriented program that’s the only one of its kind. This is differentiation at its best. You can learn to differentiate your teaching and school environment in ways that successfully reach students of poverty. The bad news is that poverty can make devastating, chronic changes in the human brain. The good news is that there are powerful solutions that hundreds of schools have successfully implemented that clearly demonstrate students from poverty can achieve. BUT, you need three things. First, you need genuine HOPE based on the science, not fantasy. This can only come from staff that truly understand and believe in the potential of students from poverty. 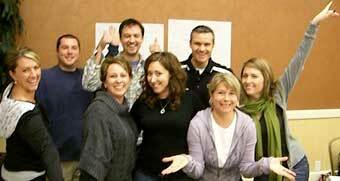 This cutting edge staff development program provides tons of science-based hope that fuels enthusiasm and positive morale. Second, you need the facts. You’ll get the real science behind the changes in brains of those from poverty. Learn what forces shape their brain and literally change it on a daily basis. Finally, you’ll get brain-based strategies that not only change the brain, but just may change you! & effect w/ pers. resp. "It's so powerful! You will gain valuable knowledge and many useful strategies!" D or F Student into a B (or Even an A) Student. If you've read this far, you KNOW it's for you. And it's risk-free. You've got a satisfaction or money-back guarantee. So, register now, before it's filled & you have to wait another year. Your future is important and this may insure its success. P.S. This workshop is especially powerful for you if your school’s not performing up to standards. You'll get the powerhouse tools you need the most to help create a school-wide turnaround. Learn what fosters optimal learning. Come to the workshop, bring your supervisor, principal, colleagues, even a policy-maker! But register soon, this workshop has a waiting list every year. Workshop Hotel and Travel Details | DVD Training | Brain Based PowerPoints | ©2015 Jensen Learning Corporation. All rights reserved.